Elevate your gift giving this Mothers Day With Zip Line Adventures The Whole Family Can Enjoy! Try something different on Mother’s Day this year. Instead of another boring brunch, take mom out to Edge for some fun in the trees with her favorite fan club. On Saturday, May 12 and Sunday, May 13 when you purchase two regular priced tickets for the 2 or 3 hour adventure, mom joins you for free! Promo code: BRUNCHISBORING. Here at ChiIL Mama, my husband and teens LOVE zip lining. We haven't checked out Edge Adventures Deep River Aerial Park, but plan to go soon and do a whole photo/GoPro video feature. 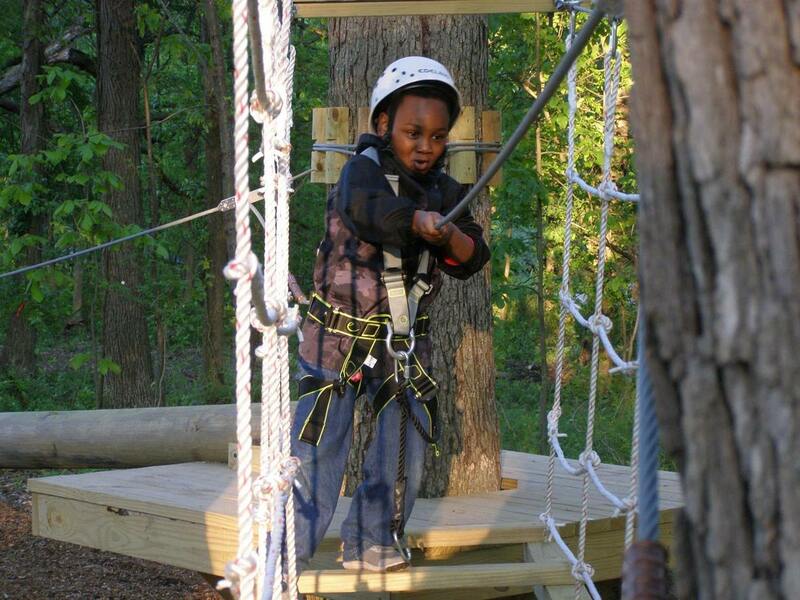 Edge Adventures Deep River Aerial Park Now Open For The Season! Edge Adventures Deep River Aerial Park, the only Aerial Park in Northwest Indiana, opened for the season the first weekend in May. Edge Adventures Aerial Park is a tree-to-tree adventure course that features over 50 challenging treetop obstacles and zip lines that provide thrills for guests at every skill level. It also features a kid’s park with elements closer to the ground that are designed for children ages 4-7. Edge Adventures Deep River Aerial Park is open weekends beginning May 5, and will be open daily May 26 through mid-November. Visitors can harness up and climb up into the trees to embark on adventures that include traversing across rope bridges, balancing on log beams, climbing on cargo nets and much more. They can also glide along on zip lines as they explore the beauty of nature while hanging out high up in the trees. The aerial park is positioned beside Deep River Water Park, giving visitors the opportunity to visit two major attractions in one day. 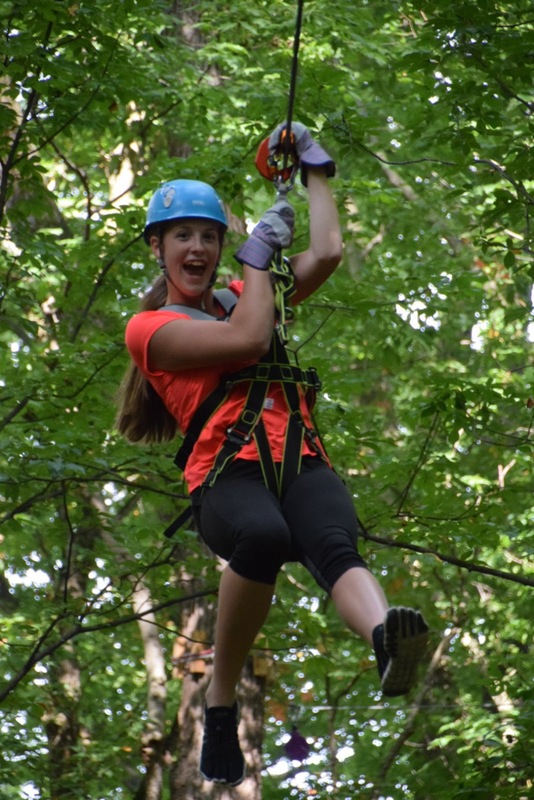 Edge Adventures provides experienced and novice adventurers with the chance to test their skills and daring over various obstacles inter-connected by zip lines laced through the canopy of the forest. Edge Adventures provides all safety equipment - helmet, harnesses, belays and gloves. Guests will participate in a safety briefing and practice course, and are assisted by Edge Adventures trained staff throughout each of the course routes. Certain age, height and weight limits apply for the larger courses. Adventurers must be at least 8-years old, with a minimum weight 40lbs and a maximum of 275lbs. Hands must reach 66" high with feet flat on the ground. The two-hour adventure is $42 for adults and $32 for children 8-12. The three-hour adventure is $49 adults, $39 children 8-12. And an all-day adventure is $79 for adults and children 8-12. In addition to the larger courses, there is also a smaller kid’s course for the littler adventurers. The kid’s park includes low to the ground elements and zip lines. Tickets are $10 for the one-hour kid’s park adventure (ages 4-7). Edge Adventures Deep River Aerial Park NWI is the newest Edge Adventures Aerial Park, joining two other Indiana locations: Edge Adventures South Bend and Edge Adventures Koteewi near Indianapolis. Edge Adventures Deep River Aerial Park NWI is located at 9001 E. Lincoln Highway, Crown Point, IN 46307. The park is open daily from 10 a.m. to 6 p.m. with the last adventure beginning at 4 p.m. 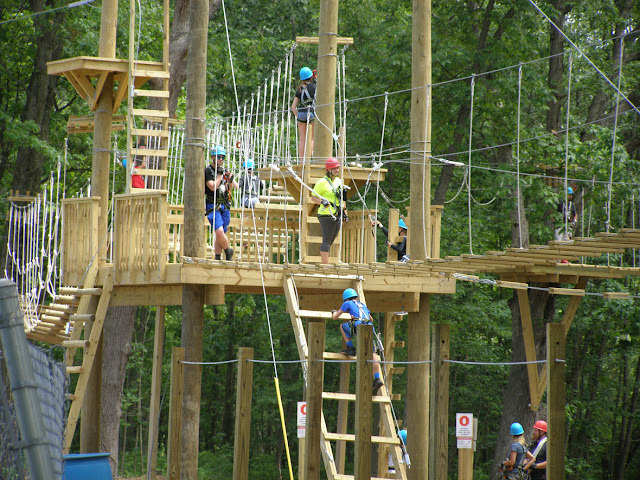 Edge Adventures are treetop trails ranging from 16-60 feet in the air. Participants choose their own self-guided course and engage in a combination of obstacles and zip lines as they maneuver their way through different trails with a progressive degree of challenges. ACCT-trained staff assist all guests. Edge provides all safety equipment - helmet, harnesses, belays and gloves. Guest will participate in a safety briefing and practice course. Edge Adventures feature 100 percent ON BELAY system Quick Trekker System. Participants have the thrill of climbing, zipping and working through the courses with the security of knowing that they are 100 percent on the safety line from start to finish.